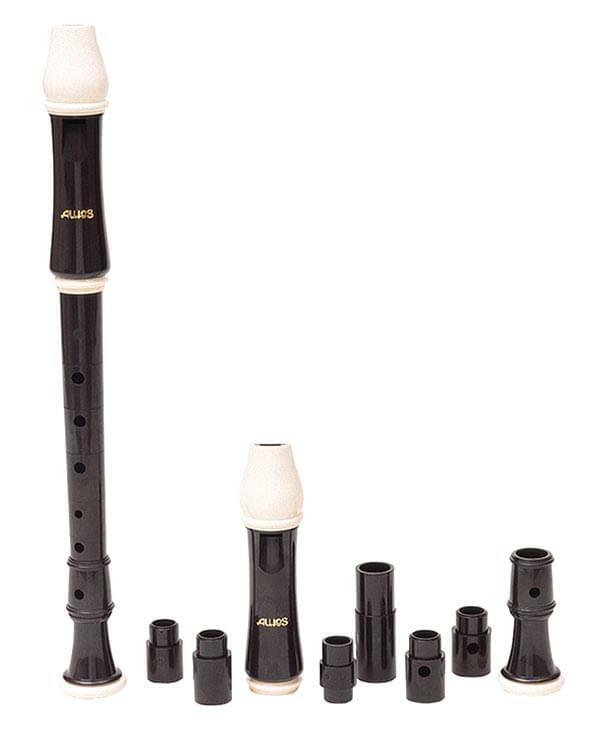 The Aulos Adapted Soprano Recorder is for soprano recorder players with finger disabilities. In addition to the head piece, there are six separate sections for holes, fitting smoothly into one another. By rotating the holes and plugging certain holes, the soprano recorder can accommodate fingers that are missing or do not function normally. Once adjusted for an individual's hand, the sections may then be glued into permanent position. A person with any six usable digits can play an entire chromatic scale from C' to A'''. If seven fingers are available in any combination, the range is extended by three semitones.